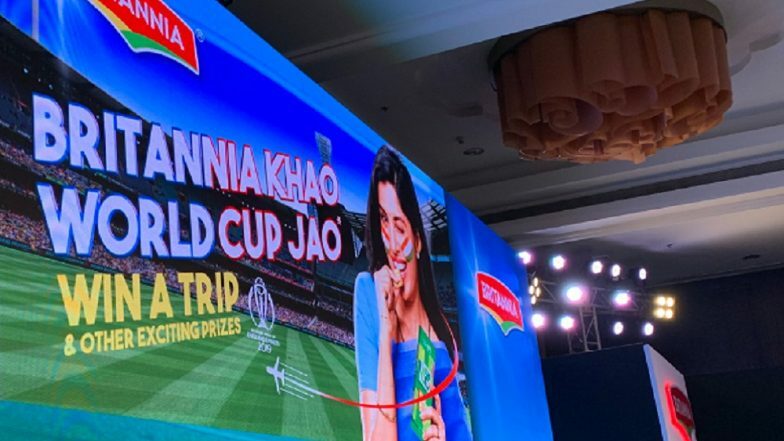 Bengaluru, April 2: Britannia Industries Ltd. on Tuesday partnered with the International Cricket Council (ICC) to bring back their World Cup lucky draw contest whereby the winners can watch the showpiece cricket event live. The contest, which debuted in 1999, will have the mega prize going to 100 consumers who will each win an all-expenses paid trip to watch a cricket World Cup match live in England and Wales. "The promotion is also set to offer a bouquet of experiences and rewards to millions of consumers who SMS a promo code (on pack). The prizes include a lucky draw as well as assured gifts such as e-vouchers and signed memorabilia from cricket legends," a statement said. India Squad for ICC Cricket World Cup 2019: Here’s a Look at Indian Team’s Expected 30-Man Players List for the Mega Event in England. World Cup 1983 winning legends Kapil Dev, Roger Binny, Syed Kirmani and Kris Srikkanth were present here to help kick-off the event.